Haggai was a prophet that God used to remind the people of their priorities. A long time ago the Babylonians had destroyed the Temple in Jerusalem which was a symbol of his God’s presence. Then years later King Cyrus said that the Jews could return to Jerusalem to rebuild their temple. They started to rebuild but after awhile they lost their motivation and they stopped. I think over time the people became complacent and forgot their purpose. Instead they focused on building up things for themselves. Haggai received a message from the Lord to get the people going again and give them a much needed boost. Basically he told them that they had everything they needed but were still unsatisfied. Haggai got the people back to rebuilding the temple – eternal work. Sometimes we need someone in our lives that speaks truth and encourages us like Haggai. Are you living in luxury and working hard to keep it that way instead of building up the kingdom of God? Are you successful but still not satisfied? Last December I stepped down from teaching in the 2’s and 3’s department at church. My reasoning was that I had given it a good go for almost 10 years and it was time to move on to something different. The first month after quitting I will admit I enjoyed the freedom of no Sunday commitments, no lesson to prepare, no 2 service Sundays, and I could come and go with barely having to talk to anyone! And then, before I knew it, that became my routine. My intentions were always to find another area to serve, but guess what? I forgot to look for something else and now I’m not serving at all. Looks like I stopped building the temple. I forgot the importance of serving and how God uses that to draw me closer to Him. The Good news is that we are His temple through Jesus Christ and we can rebuild anytime with a repentant heart. It is a conscious change of priorities. And with obedience to building Gods kingdom and making that a priority, God is with us. Today’s reading is Habukkuk 1. 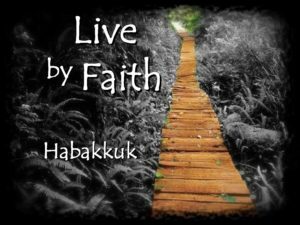 Habakkuk was a prophet of the Lord who was struggling with God’s plan. Instead of running from God he shared his concerns very vocally with the Almighty. He was willing to ask hard questions and wait for a response. 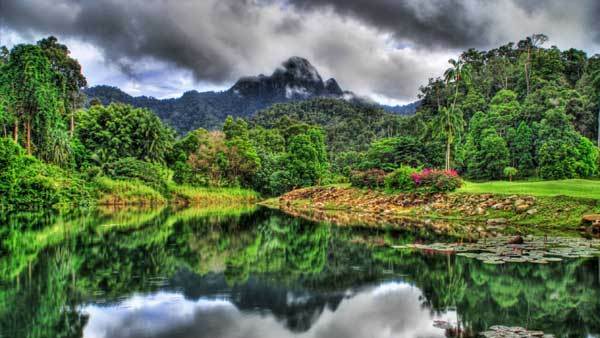 In Habakkuk 1:5 God responded, “Look at the nations and be amazed! Watch and be astounded at what I will do! For I am doing something in your own day, something you wouldn’t believe even if someone told you about it.” God then goes on to tell Habakkuk about the Babylonians and how he will use them to bring about His plan. This is still a concern for Habukkuk and he continues to debate God’s actions. And God responds again to his questioning with plans that are far beyond what he could hope or imagine. In the end, Habakkuk is brought to greater faith in the Almighty and he puts his trust in God’s plans. When you are upset with the way God is moving in your life do you let it pull you away or do you dig in to your faith? Practice personalizing Habakkuk 1:5 in times of questioning God’s actions. God’s ways are not our ways….but prayer (and sometimes prayerful debate) brings us closer to the heart of God and His plans. It increases our faith. Habakkuk 3:17 “Even though the fig trees have no blossoms, and there are no grapes on the vine; even though the olive crop fails, and the fields lie empty and barren; even though the flocks die in the fields, and the cattle barns are empty, yet I will rejoice in the Lord! I will be joyful in the God of my salvation. The sovereign Lord is my strength! He will make me as surefooted as a deer and bring me safely over the mountains.”. Today’s reading is Micah 6. In the beginning of Micah 6, the prophet is urging the people to remember all that God has done for them. The miracles, the deliverance, and the people he sent to lead them. He tells them to “remember their journey” (6:5). After sitting down to realize and remember all that He has done…..then what? How do we respond to all the ways He has cared for us? The Israelites had in mind to offer their most prized possessions, even to the extreme of their first born. But Micah goes on to tell them what is required of them. It is not the sacrifice of things they own but rather something much more eternal – their hearts. Act Justly – Living with a sense of right and wrong – as defined by the Bible. Walk Humbly – The heart’s attitude toward God. Do you really know and understand WHO the God is that you worship? Do you live in fear of the Lord and his mighty power? Are you truly humbled by his justice and mercy shown to you on a daily basis? God is most concerned about what is in our hearts. When the Spirit is alive in us we display the fruit that only comes from God. Galations 5:22-24 “But the fruit of the spirit is love, joy, peace, forbearance, kindness, goodness, faithfulness, gentleness, and self control. Against such things there is no law. Those who belong to Christ Jesus have crucified the flesh with its passions and desires.” He alone gives us the ability to act justly, love mercy, and walk humbly. We have been spending a lot of time at basketball and volleyball games. Rushing around from work to games and back home again. Its exhausting, but we wouldn't miss the games for anything. One particular day I arrived late to a game. Mike was already there saving a seat for me. I plopped down next to him with a weary sigh and pulled out my favorite Chap stick. I popped the top off, anticipating some relief to my Illinois chapped lips, and the ENTIRE contents of the stick fell out onto the ground. There is no 5 second rule to a gym floor. Mike watched the whole thing happen and saw the disappointment on my face. No words were spoken, but I knew he was with me in the pit of no chap stick. The next day I came home to a SAMs club box of 10 Chap sticks. My favorite kind! I felt so loved and cared for in that moment. It reminded me of the days I first met him and all the reasons I fell for him. Song of Songs is the ultimate book of love. It opens with a wedding and then chapter 2 shares the "memories of courtship". It is a chapter of mushy poetry that likens one to a "gazelle" and the other to a "dove". It is obvious that they are infatuated with each other as they cannot stop gushing over one another. Have you been around this couple before? They are the ones in a room of 50 people but they only have eyes for each other, no one else exists. Often times this is the difference between newlyweds and those of us who have multiple years under our belts. Those days of poems and gushy talk often fade into the daily grind of work and responsibilities. But the days of infatuation are so important to our future  selves. They remind us why we got together in the first place. Love is a beautiful thing but can be fragile too. The foxes are the little things that creep into our relationships. Selfishness, bitterness, pride. In this chapter the young women of Jerusalem are reminding the couple that there will be trouble. In the midst of seeing them so in love they want to instill a little reality and wisdom into their relationship. Be on the alert for the "foxes" that steal away the love. It can happen so quickly and innocently. The most beautiful picture of a marriage is one based on the love of Jesus. Today spend some time remembering your courtship. Remind your mate why you chose them. If you are in the position of not being able to remember why - ask God to reveal that to you. Marriage can be very difficult, with unexpected twists and turns. Situations change but God never changes. He is the one constant in the midst of instability. Today’s reading is 2 Samuel 6. David is in the process of transporting the Ark of the Covenant to Jerusalem so God would bless them as a nation. He was in charge of it, along with 30,000 men. The Ark was sacred and carried with it a lot of rules and expectations for transport and care. It was no joke. The men were aware of this but even in this situation they became a little “loosey goosey” and forgot that there were serious consequences to disobeying. Poor Uzzah, in an attempt to keep the Ark from falling he reached out and touched the Ark. As a result, God struck him dead. Seems a little harsh but they were well aware of the rules and what would happen if they strayed from them….even if well intentioned. This was difficult for David to witness but I think it renewed a sense of awe and fear at the power of God and the rules set forth by Him. Again, it was no joke. After this, David spent more of his time worshipping and sacrificing while transporting the Ark. He was seeking the Lord while carrying it to ensure he was taking it to the right place. David had heard how the Lord had blessed Oben-Edom’s home and everything he had because of the presence of the Ark of God. So David took the Ark to the City of David with a “great celebration”. They sacrificed animals, sang, danced, played instruments and shouted all to the glory of God. They were not worried about what anyone thought of them as they worshipped because they had witnessed the power of God through the death of Uzzah and blessing of Oben-Edoms household. They finally placed the Ark in the tent David had prepared for it and then he proceeded to care for the people by passing out food. What a day!! He went home on a high from all the praising and witnessing of God’s power only to be faced with his wife Michal who basically tells him how stupid he looked to everyone around him and that she was embarrassed. His response was perfect in 2 Samuel 6:21-22 “It was before the Lord, who chose me rather than your father or anyone from his house when he appointed me ruler over the Lord’s people Israel – I will celebrate before the Lord. I will become even more undignified than this, and I will be humiliated in my own eyes”. When is the last time you were “even more undignified than this”? I’ll be the first to admit that I’ve looked on at people at church with their hands waving around and thought they looked a little undignified. Unfortunately, I judged much like Michal did in this passage. And like her, I have missed out on the blessing of worship and praise with wild abandon. The people that have witnessed the power of God, close up and personal, are the ones that are not afraid to lift their arms and dance to the almighty God. I challenge you to spend some time with God – singing, dancing, shouting, and blowing a trumpet if you have one. He is worthy of our praise! It can be a solo act in your living room and it is just as effective. Today’s reading is from Joshua 2. The book of Joshua is about the continued trek of the Isrealites to the Promised land. Moses died and the Lord chose Joshua to lead the people. God instructed him to obey the laws Moses gave and to be strong and courageous. Rahab had been hearing the stories of the God of the Irealites. She feared the God of the Isrealites more than she feared the King of Jericho. Based on the stories she had been hearing about God, He was powerful, He took care of his people, and where He went the enemy was always defeated. The enemy here was Jericho and that’s where she lived. At that moment she made a choice to believe in God. And with her belief she was granted salvation from the destruction that would ensue on Jericho in the days to come. She believed and she asked to be saved – along with all her family. The spies agreed to keep her safe as long as her entire family stayed inside the house and she left the scarlet cord hanging out of her window. We don’t hear any more of the specifics of Rahab’s story in the Bible but we do know God had a plan for her life. Later in Matthew 1:5 she is one of 5 women mentioned in the geneaology of Jesus Christ. Because of her profession of faith she was saved from destruction. She became a part of the blood line of Jesus – a prostitute, a sinner, an outsider – part of the family. All it took was her belief. No matter what our past holds, God has a plan for our future. Joshua 1:9 says “I command you – be strong and courageous! Do not be afraid or discouraged. For the Lord your God is with you wherever you go”. Rahab no longer had to fear because God was with her wherever she went. Same goes for us. Today – be strong and courageous, no matter your past or where you come from. God has a plan. Are you one of those people that gets great joy in giving to and taking care of others? Can you imagine the amount of joy in Joseph’s heart when he gets to spoil his family with everything Egypt has to offer with the orders from the Pharaoh?!?! Can you imagine the amount of joy in Jacob’s heart…not only to hear that his son was alive, but how well he was doing and that he would get to see him again. I pray that joy finds you today. Today’s reading is Genesis 2. Heaven and earth were completed and God rested on the 7th day, making it holy. Then He went on to create man from the “dust of the earth” by “breathing into his nostrils the breath of life” Genesis 2:7. He put the man in the garden of eden to work it and take care of it. “And the Lord God commanded the man, ‘you are free to eat from any tree in the garden; but you must not eat from the tree of the knowledge of good and evil, for when you eat of it you will certainly die’” Genesis 2:17. Then God created “a helper suitable for him” which He fashioned from Adams rib. They were man and woman, created by God, living in perfection. “Adam and his wife were both naked and they felt no shame” Genesis 2:25. Can you imagine a life without shame? For “one shining moment” everything was perfect and just as God intended it to be. Adam and Eve lived in harmony with creation and in direct communion with God. Nothing separated them. Their purpose was to take care of the garden and each other. And “they felt no shame”. If only things could have remained that way forever! As defined by Merriam Webster, shame is “a painful emotion caused by consciousness of guilt, shortcoming, or impropriety”. Shame can be a result of sin and often carries with it feelings of worthlessness and failure. When we move from true conviction over wrong doing into shame we get trapped. We become our sin and our thoughts move inward. Shame is not productive and keeps us from being all that God intended us to be. Unlike this chapter of Genesis 2, we live in an imperfect world full of sin and shame. That sin, when left unconfessed, seperates us from God. Our shame over our sin keeps us hidden in lies of worthlessness about who we think we are. Thankfully, God sent Jesus so many years later to atone for our sin and remove the shame that comes with it. We are sinners saved by grace to live a life of freedom in Christ. Because of this sacrifice on the cross we can live a life without shame. We are defined by a God who created us in His image not by our sin. My prayer is that shame would never steal you away from God. You are a unique creation made for His purpose. Happy New Year!! I’ve been blessed with so many great friends throughout my life…many of whom would have/will do anything for anyone. One of them was such a good person, when some friends and I were speaking of him…one of them said: “He was such a good person, he has to be in heaven.” When I heard the person say that, my first thought was: “Just let it go for now and not take the chance of offending someone.” Then I rethought it: “I agree, he was one of the best people I’ve ever known…but that’s no why he’s in heaven. He’s in heaven, because of what it says in John 14:6: ‘I am the way the truth and the life. No one comes to the Father, except through me.’ I know that he did believe in Jesus because he was my best friend and I needed to know that he did believe.” There was some head nodding and some small talk…then moved on with the evening. Over the last few years I’ve gotten to know quite a few “super nice” people through coaching and work, but they don’t have a church home and are not sure about this “Jesus thing”. While I still have so much to improve upon in my life, is there anything more important than helping lost sheep find their Shepherd. There are so many ways we can do that: praying for those lost sheep, being an example for those lost sheep, be encouraging to those lost sheep…. We are not going to convict them, that’s the Holy Spirit…but we can do these other things. May you have a blessed day and may you be presented with the privilege of sharing the Gospel. Have you ever received a letter from someone that was a little harsh, but true? I’ve received some rejection letters, some letters about my kids doing weird things, and a few letters of thanks or appreciation. I’ve thrown the rejection letters away but I kept the letters about my kids and the appreciation. While they were painful to read initially, they were also filled with encouragement and hope. The three churches mentioned in Revelation chapter 3 received letters, but they were not left without feeling encouraged and hopeful. The church of Sardis was deemed “dead” and they were instructed to “wake up”! At one time they had been strong in their faith but they let it fizzle. They were urged to get back to the basics of what they believed at the very beginning. If they didnt wake up they would miss out on His return. The church of Philadelphia also received a letter. They Lacked strength but they were obedient and did not deny Him. They were encouraged to hold tightly to whatever strength they had and use the gifts God gave them to keep their faith. Lastly, the church in Laodicea. They were lukewarm in their faith. Their riches and self sufficiency took the place of their need for God. But they were reminded that in the midst of their riches they were actually “wretched, miserable, poor, blind, and naked”. They were encouraged to be diligent and turn from their indifference. The things of God are greater than any riches obtained in this lifetime. Which of these letters would you be receiving? Are you dead in your faith? Weak? Or lukewarm? God disciplines those he loves. May we hear the encouragement in the midst of the discipline to turn from our ways back to Him. 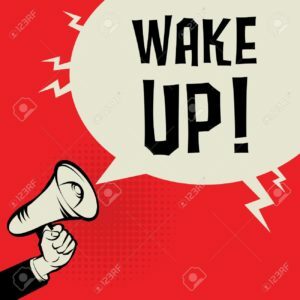 Posted on December 5, 2018 December 4, 2018 Author Shelly ThomasCategories UncategorizedLeave a comment on Wake Up!